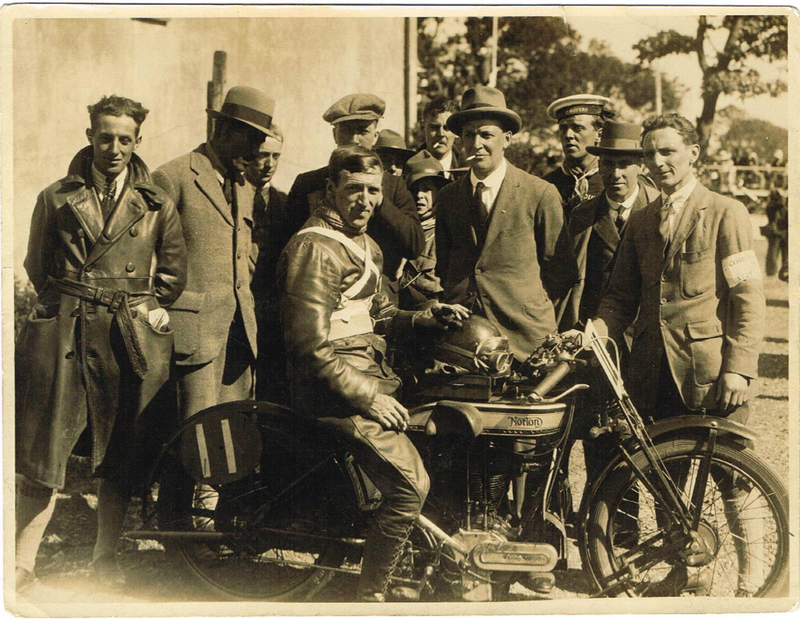 -SG- Here's an uncommon shot of Bennett and his 1925 Senior TT Works Norton. Interestingly another photo popped up that was made seconds before or after the other one. 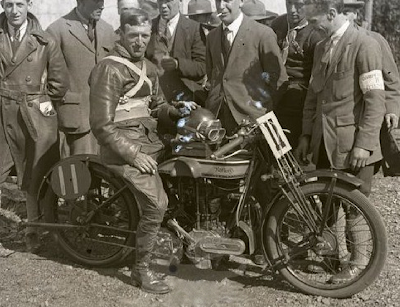 The oil pump adjuster is visible on the oil pump cover (it was simplified in '26 and onwards) and one can see the drooping footrest - damaged when Bennett had a minor 'off' during the event. 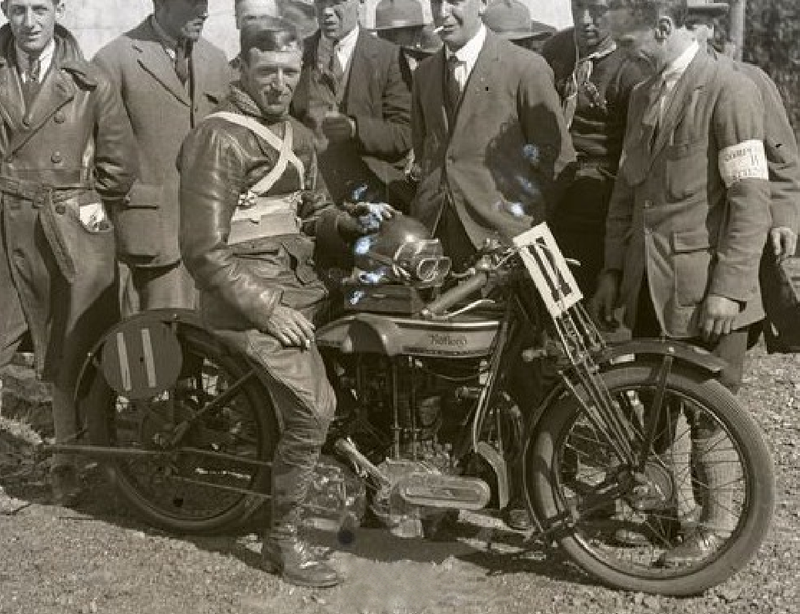 Note also the front brake - still very small but with brake arm pointing forward. Small or not, I can tell you from personal experience this makes otherwise rather useless small Vintage brakes infinitely better!